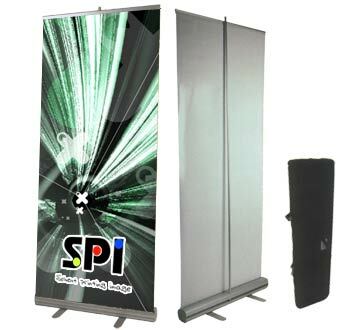 Roll up is a portable printed advertisement produced on a very durable and protected tarpaulin material. The size of the advertisement is 200 x 80 cm, which will meet your requirements completely. Furthermore, when folded, Roll up takes up a space not bigger than an average bag. Aluminium construction enables the advertisement to be moved easily to any place and to spread it again in less than a minute.